Elendil Mar is a Vacation Rental for people looking to enjoy Vermont and all it has to offer. We are conveniently located in Richford, near Jay's Peak Ski Resort, Montreal, Quebec and many other fun attractions and are able to host groups of up to 8 people with additional roll out beds for guests. Elendil Mar is the perfect place to spend a short family vacation, ski trip, or to host a retreat with your company, group, or organization. THANKS FOR VISITING! WE ARE CURRENTLY UNDER CONSTRUCTION (LITERALLY) BUT PLEASE CHECK BACK FOR UPDATES, OR JOIN OUR EMAIL LIST BELOW TO RECEIVE UPDATES ON OUR JOURNEY AND AVAILABLE RENTAL DATES, SPECIAL EVENTS, AND PROMOTIONS! Skiing - Jay Peak, considered by expert skiers to be the Aspen of the Northeast, only 15 miles away. Stowe/ Smuggler's Notch are within 45 minutes of the mansion. Mount Sutton in Canada is only 8 miles away. Ski Bromont in Quebec is within a 30 minutes. Hazen's Notch offers cross country skiing and snowshoeing only tenminutes away. Snowmobiling - Snowmobile rentals are in Jay only 20 minutes away. Or bring your own. We are across the street from the state's snowmobile trail. Carman Brook Maple & Dairy Farm - Visit The Fortin family operated sugarhouse and enjoy the flavors and aromas of real Vermont maple syrup. conditioning, waterbed mattresses and slate feed alley! Take a hike through the sugarwoods while watching for wildlife and bird watching. Hazen's Notch offers cross country skiing and snowshoeing only ten minutes away. 10 km north is Sutton, Canada. Lake Carmi offers a public beach and boat rentals. 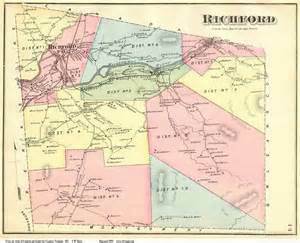 The Missisquoi Valley Rail Trail comes right into Richford. 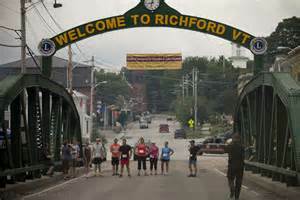 Richford, Vermont, (population 2,200) is located on the Canadian border in the northeast part of the state. The town was chartered in 1780 and settled in 1795 with the arrival of Joseph Stanhope. 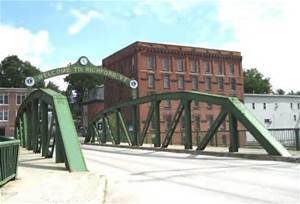 A bridge, a blacksmith shop, a trip-hammer shop, and a distillery were built near the town falls, in the area that developed into the village of Richford. Population grew by the mid-1800s as the town turned into a lively rural trading center that boasted two railroad lines, a gristmill, a sawmill, a hotel, and a general store. Lumber barons built factories to manufacture such products as butter tubs, windows, furniture, and the many homes needed to house Richford’s new residents. The 1870 census recorded a population of 1,481, which increased to 2,196 by 1890. Many of the commercial buildings, homes, and churches built in the late 1800s through the early 20th century remain today as an example of Richford’s historic heritage. The flood of 1927, Vermont’s greatest natural disaster, devastated the village. Damage was massive, with losses estimated at $500,000 (in 1927 dollars) in the village alone. In typical Yankee fashion, residents pulled together to turn things around as soon as the floodwaters subsided. Recently, a number of public and private groups collaborated to restore the Main Street Mill, located in the Sweat-Comings Furniture Mill. The furniture mill was the hub of Richford activity in the early 1900s but had become uninhabitable by the late 1990s. Today the restored building houses a supermarket, office space, and apartments. The Richford Historical Society operates a museum in the old fire station in downtown Richford, which houses historical artifacts. The society also sponsors community events, such as Old Home Days, an annual observance that dates to 1892. This is a NON SMOKING vacation rental. Maximum occupancy is 12 guests. is subject to extra rental charges unless approved otherwise. Primary renter must be at least 21 years of age. A 30% reservation deposit is required to confirm your booking. is requested more than 30 days before arrival. Full payment is due 20 days prior to check-in.